The Tabernacle was the forerunner of the Temple in Jerusalem which in turn inspired the institution of the synagogue. It is the synagogue, often called the kehillah kedosha (holy community), that has sustained Judaism and the Jewish people for two thousand years. In all this time what has not changed is the notion that the community is built upon the unique gifts of each individual. Alan Spector has served as President for the past two years, bringing with him the gift of making the congregation a place of social connection. Alan would take a look at the calendar, see gaps in our programming, and urge us to fill those gaps with events that brought together families. At the same time, he fulfilled all the behind-the-scene roles of a synagogue president that are often taken for granted. He did all this even while tending to his mother’s move from Florida and his daughter’s wedding. We trust that we will continue to benefit from Alan’s energy and enthusiasm. Student Cantor Luke Hawley, by the time of this writing, will be a fully ordained cantor and moving on to his first full position as such. We were blessed with the gift of Luke’s beautiful voice this year. 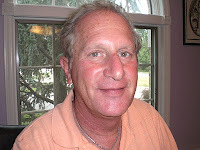 My personal favorite was his singing of Hashkivenu each Shabbat; it never failed to move me. 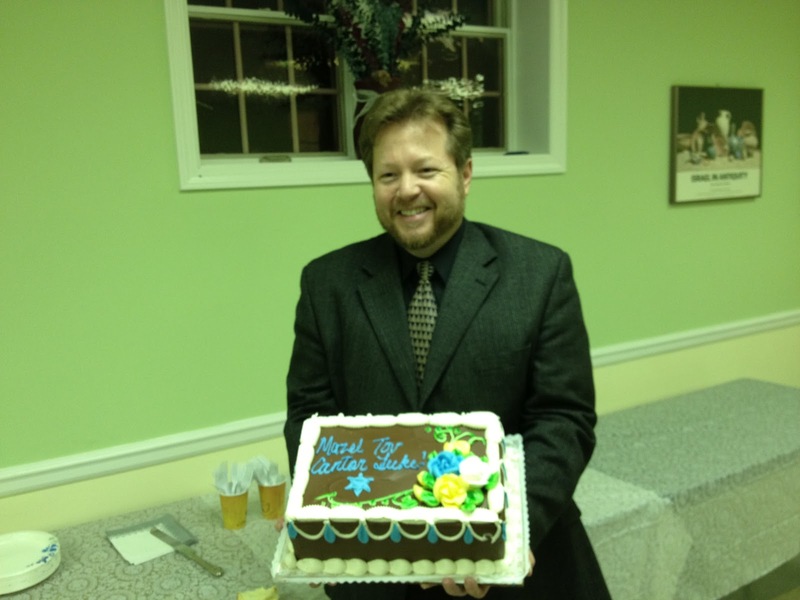 We wish Luke well, even as we welcome our new student cantor Allison Lopatin. 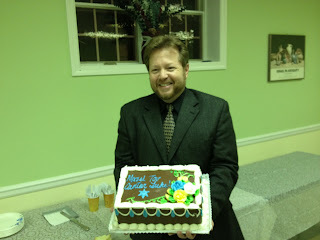 And we also bid a fond farewell to our Religious School Director of the past six years, Jennifer Goldstein. Jennifer’s gift was evident each and every Sunday morning when she greeted us with her broad smile. We will miss her organizational and pedagogic abilities to be sure, but even more the genuine caring and warm relationships she has engendered with our school families over the years. The same chapter of Exodus that speaks of every willing heart concludes, “And let them make Me a sanctuary that I may dwell among them.” (25:8) Our sages immediately noticed something special about this verse. The sentence should end with the word it but instead concludes with them. God’s presence, we are being taught, is not found in a building per say. Rather, it is found in the hearts and souls of the people who fashion and sanctify the building. A place becomes holy when people come together and share of their gifts. We are ever grateful for every willing heart that makes Congregation Adas Emuno our holy community. We have had a great year and are thriving. We began in July with our new Rabbi, and a new Student Cantor joined us soon after. 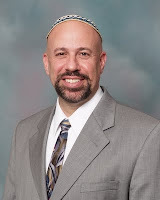 One would never know that Rabbi Barry Schwartz is our “part-time Rabbi” with all that he has given of himself to our congregation. Cantor Hawley’s voice is mesmerizing at every service, and we thank him also for representing us at many jointly-held off-site holiday services throughout Bergen County. 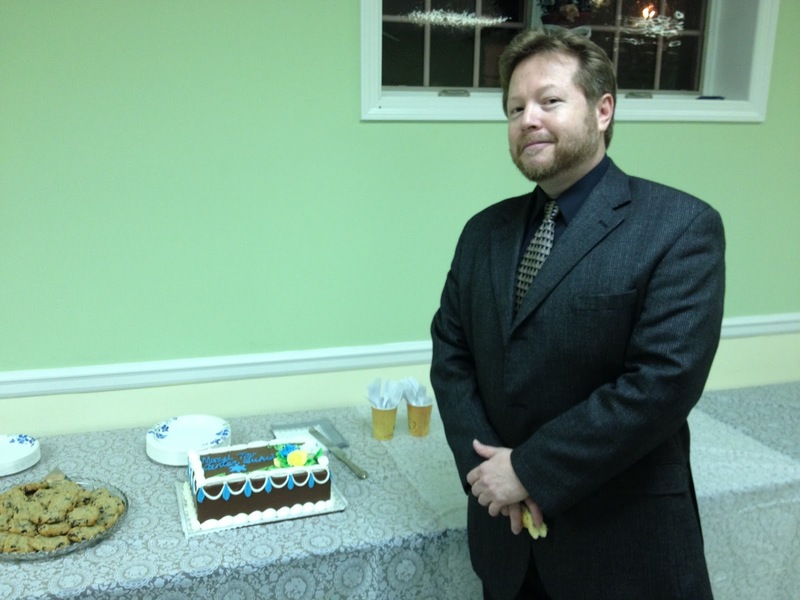 Mazel tov to Cantor Hawley on his recent ordination from the Hebrew Union College-Jewish Institute of Religion School of Sacred Music! The bequest of a Holocaust scroll from Congregation Beth Am in Teaneck has since been used at every one of our b’nai mitzvah services. This Torah scroll is being passed from generation to generation and finally, to our bar or bat mitzvahs. As Tevye sang, “Tradition, tradition…” and we have started a new one of our own. Fittingly, the scroll is being housed in an ark with beautiful doors which were donated to us from Congregation Sons of Israel in Leonia. Despite yet another difficult economic year, our modest congregation has managed to stay in the “black”. Mostly, this is due to the recent bequests made to Adas Emuno from neighboring congregations that have sadly closed their doors. The generous donation from Sons of Israel in Leonia came with a commitment to seeing a continued “Jewish presence” in the town of Leonia. We have succeeded in our short term goal, but we need to begin to think long term. It is time for all of us to step on board for our future and for that of the Jewish community surrounding the town of Leonia. You can do so with your ideas, with putting your particular professional and social talents to use in regards to our congregation and yes, with Board involvement. May 25 at 7:30PM: Shabbat service with Confirmation Ceremony where you can bid farewell to our Religious School Director, Jennifer Katz-Goldstein. June 20 at 7:30PM: our Annual Congregational Meeting. This is where we would like to hear from you, and you will have the opportunity to approve the slate of your new Executive Board and Trustees. If you are interested in recommending yourself (now is not the time to be bashful!) or someone else to the Board, please contact our immediate past-president, Beth Ziff at bdziff at aol.com as soon as possible. Feel free also to share your productive ideas with Beth. Who Will Write Our History? : Rediscovering a Hidden Archive from the Warsaw Ghetto, a historical study by Samuel Kassow, tells about the miraculous preservation of an archive of writings by people who were in the Warsaw ghetto. It tells the story of an historian named Emanuel Ringlebaum who executed a plan to collect first hand written statements in their own words about their experiences from a broad spectrum of the Jewish population of the ghetto, representing all political groups, classes, ages and genders. He then buried them in milk cans in the hope that they would be found after these voices had been silenced. Two of the three milk cans have now been found. The archive is now in the possession of a Jewish museum in Warsaw. Samuel Kassow is a professor of history at Trinity College in Hartford Connecticut. On Thursday April 19th, I was privileged to attend a dramatic reading from these powerful and poignant writings . The reading was at the Puffin Foundation Cultural Forum in Teaneck. The actors were Rae C. Wright and Leo Schaff. It was a very moving experience. On May 10th at 7pm the author, Dr. Samuel Kassow, was at the Puffin Forum to discuss the book and the archive, a very interesting and deeply moving event. On a somewhat more upbeat note, permit me to end by telling you about Michael Tudor, a Baptist lawyer who is a colleague of mine. Michael was instrumental in creating a Holocaust memorial in his hometown of Alexandria, Louisiana. Alexandria is located in the middle of Louisiana. Michael saw such a memorial in New Orleans. When he got home he called up the local Rabbi and asked why there was no memorial to the victims of the Holocaust in Alexandria. Michael, the Rabbi and a third person formed a committee, raised funds and built the memorial. A week ago Michael called to describe a very moving experience that he had the prior evening. He attended a Holocaust memorial service in Alexandria at a large Baptist church. The service was co-sponsored by the church and the local synagogue, and Michael said it was packed. The main speaker was a professor who is a survivor and who specializes in Holocaust and genocide studies.The Jewish prayer El Molei Rachamim was recited. We need to remember that there are also beautiful people like Michael Tudor in this world. Congregation Adas Emuno joins together as a community to say CONGRATULATIONS to Luke Hawley, who has been serving as our student cantor over the past year, on his ordination as cantor this past Sunday, May 6, in a ceremony held at Congregation Emanu-El of the City of New York. 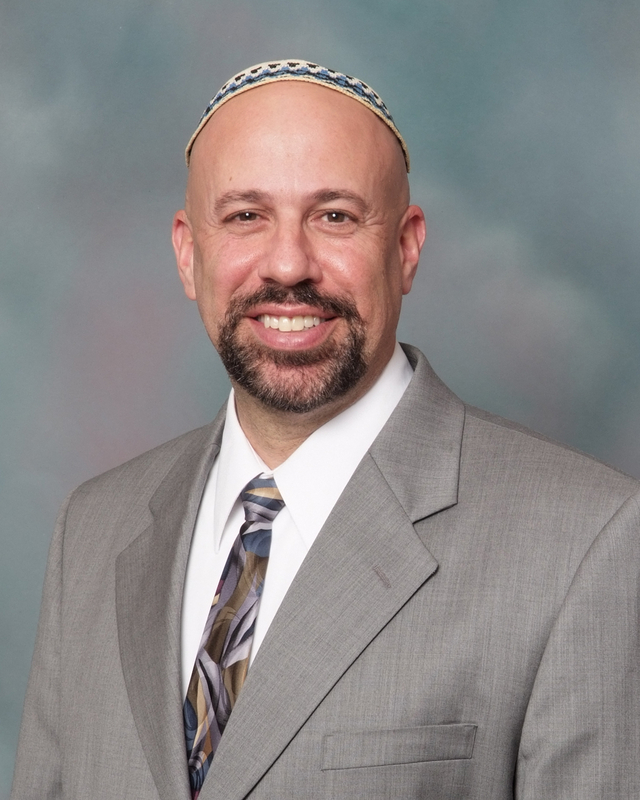 On Friday, May 4th, Cantor Hawley celebrated his upcoming ordination by leading Shabbat services and delivering a heartfelt and thoughtful D'Var Torah on the subject of life and death. At the oneg that followed, we all celebrated in a special way, as you can see from the pictures below. History in the making, and we at Adas Emuno are proud to be a part of it! It's not the first time we've been a part of Reform Jewish history, and it won't be the last! Were you with us this past Purim for out annual Purim Spiel? If so, you got to see A Very Glee Megillah, written by Norman Roth and performed by the Adas Emuno Amatuer Ensemble. The performance (and Purim service) was held on the evening of March 7, 2012, which corresponds to Adar 13, 5772 (actually the eve of Adar 14). You can also view this video directly on YouTube, under the title of A Very Glee Megillah Purim Spiel at Adas Emuno 2012 (and while you're there, give us a like if you don't mind, leave us a comment if you are so inclined, and feel free to add us to your playlist or share the video via email or social media). And while you're at, come visit our YouTube channel, Adas Emuno Sights and Sounds, and subscribe if you care to. I think you can see that, if nothing else, we excel in enthusiasm, and spirit, and fun! And we are not without our hidden talents (and don't say they're very hidden indeed, you'll hurt our feelings). And at nearly an hour in length, this Purim Spiel is indeed, quite the Megillah!